According to the International Monetary Fund (IMF), oil-importing countries in the Arab world still have high fiscal deficits and public debt, which have risen to 85 per cent of gross domestic product (GDP) in 2018 from 64 per cent in 2008. In nearly half of those countries, public debt currently accounts for over 90 per cent of their GDP. Oil prices are now at $62 a barrel, having plunged from over $110 in mid-2014 to lows below $30 in early 2016. “Modest growth continues, but the outlook is highly uncertain — reflecting in part the need for countries to shift rapidly toward renewable energy over the next few decades, in line with the Paris Agreement,” said Christine Lagarde, managing director of the IMF. In a speech in Dubai, she said that public debt has risen “sharply” in oil exporting Arab countries to 33 per cent of GDP in 2018 from 13 per cent in 2013. Lagarde said that fiscal deficits are only slowly declining, despite what she described as “significant reforms” such as the introduction of Value-Added Tax (VAT) and excise tax. Adding further challenges to the Arab world’s economic growth is the weakening expansion globally as risks rise. The IMF recently revised down its forecast for global economic growth in 2019, saying it expected it at 3.5 per cent from its October forecast of 3.7 per cent. “And the risks are up, given escalating trade tensions and tightening financial conditions,” Lagarde said. 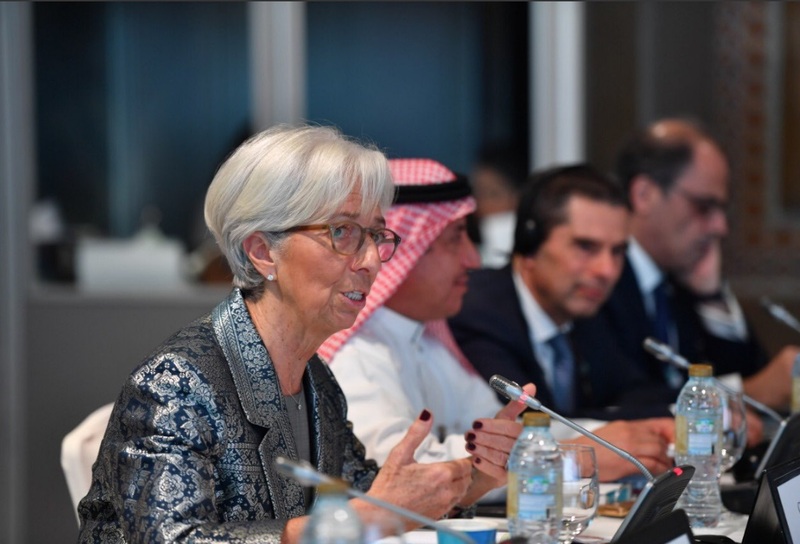 “The bottom line: the economic path for the region is challenging,” the head of the IMF said.